Home > Wine for Dummies > How to hold a glass of wine? How to hold a glass of wine? 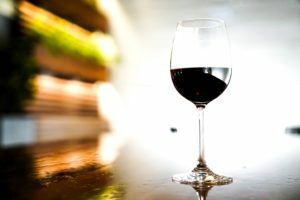 Why do wine glasses have a foot? 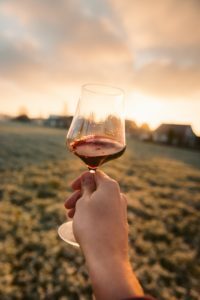 If you have already asked yourself these questions without daring to ask around you, here are some answers to have all the uses to drink your glass of wine with distinction. History says that the foot avoided poisoning stories, it has remained today by finding other functions. If wine glasses still have a foot today, it is not only an aesthetic concern, it prevents the wine from heating up too quickly on contact with the hand. When a wine is served at 16° it means that it will best express its entire aromatic palette at this temperature. It would be a shame if your tasting deteriorated over time simply because of your hand! The foot also allows you to appreciate the wine by observing its colour without obstructing vision with your fingers or fingerprints, then to air it by shaking the glass to bring out the aromas. Now that these few reminders have been made, how to hold the glass so as not to appear novice and to be able to go to your parties with distinction. Let's start with the aperitif with champagne. Whether it is served in a bowl or a flute, it should not be reheated to keep all the freshness and bubbles. Take the glass by the rod. The flute will make you more comfortable, the cut is more suitable if it is a vintage old vine champagne, the flute will prevent you from appreciating all the aromas correctly! If you don't have the right glasses, don't panic, you can also serve your champagne in classic wine glasses or smaller white wine glasses. Wine glasses never hold up, it warms up the contents. If you want to appreciate the olfactory qualities of what you are served, the higher the hands are on the glass, the more the odours of your hands (soap, cigarette, onion,...) will interfere with the odours of the wine. Tasting professionals will hold their glasses by the foot. If you're a simple amateur like most people take it by the rod. It is advisable to pinch the stem with the thumb and index finger and let the other fingers rest naturally without tightening them. It will also allow you to spend the evening without leaving unsightly traces on your glass. Also be careful when filling the glass, you don't fill a glass with wine up to the top, you stop where the glass is closing, for a tasting you only fill a third of the glass.